Do you have great memories of roller skating as a child? I do. 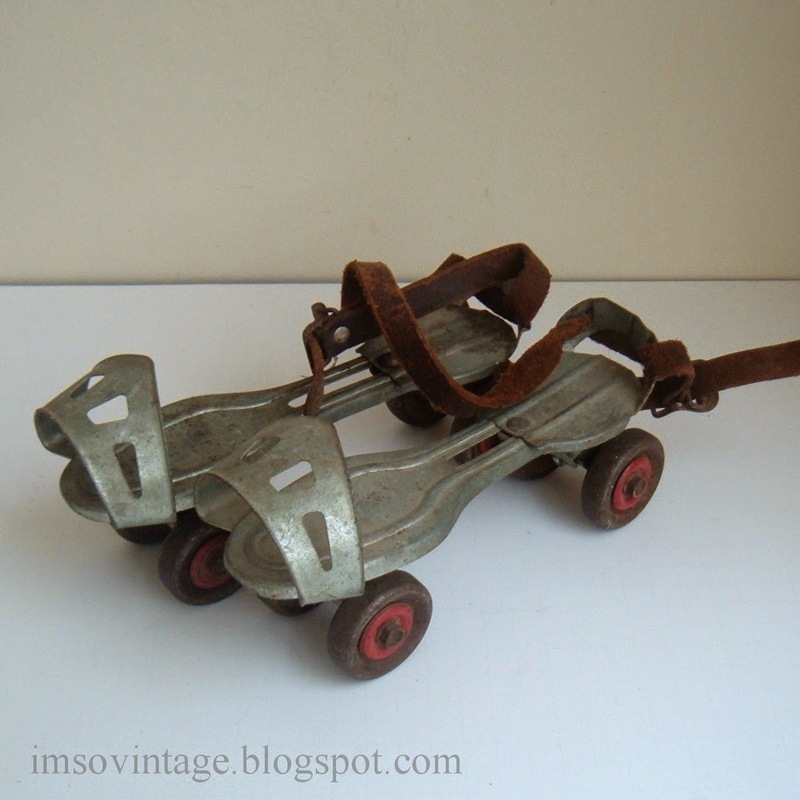 I can remember having a pair of roller skates like these. I hung the key on a string around my neck after fitting the skates to my Keds sneakers. Then I would whip up and down the sidewalks on my street. I loved it. The sidewalks were a bit bumpy so it would kind of rattle your teeth, and invariably one of the skates would come off resulting in lots of skinned knees and elbows. Back in those days no one had heard of protective pads. It was a booming business for Bandaids. I had dreams of being a teenager and wearing a really spiffy skirt and white roller boots. I imagined myself twirling around the roller rink on a sultry summer night. Of course the boys would be lined up waiting to take their turn by my side. SIGH!!! Well, I never got the cute roller skating outfit or the spiffy roller skates, but after my family moved to Canada I took up ice skating and got some really cool skates and a sweet little wool skirt. Summer wouldn't have been the same without roller skating and an orange popsicle. Brings back good memories, me and my bestie had a pair and we skated all summer long on them. I had these exact same skates too. 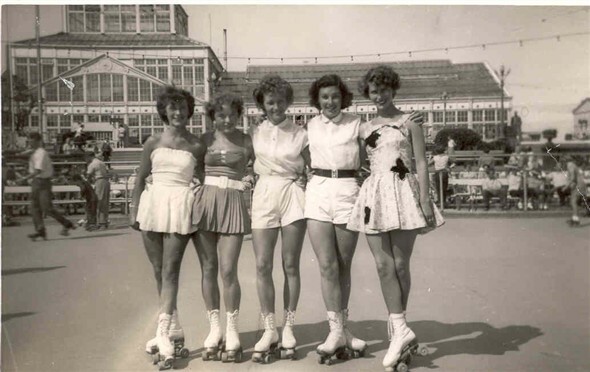 I loved to roller skate up and down our block and we went to a skating rink called "The Hub." They played popular tunes over the load speaker and during intermissions they would play funky pipe organ music. Great memories. I still roller blade once in awhile. :-) Fun post Laura. Now I'll have that old tune by Melanie running thru my head all day.... Where are my skates???? I did have some roller skates and some skinned knees! I never had roller skates but I had that song and played it on my record player in my room!! Great memories! I used to love to go to the roller rink to skate when I was in high school What fun! I haven't seen a pair of those since I was a kid! I do have fond memories of rollerskating as a kid, right down the bumpy sidewalk, same as you! 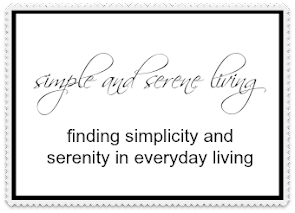 "Simple and Serene Living" has been included in our Arlynda Lea's Sites to See #5. We hope this helps to call attention to your efforts.